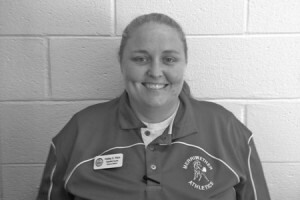 Coach Holley Pace is in her second year at Merriwether Middle School. She is a graduate of Belhaven College where see earned a BS degree in Sports Ministries and earned a second BS degree from Augusta State University with a concentration in Health and Physical Education. Coach Pace’s passion is ministering to young athletes. She has traveled to Costa Rica, South Africa, and China on mission trips. Coach Holley Pace has been a tremendous asset to Merriwether Middle School and Community. Congratulations to Miss Holley Pace being selected as Teacher of the Month for September.